Diana Larsen, co-author of “Agile Retrospectives: Making Good Teams Great” visited St. Louis and held an opening gathering at a local agile meetup group. Some of our regular hosts from ThisAgileLife attended this event and took note of the following questions to discuss on a podcast episode to pass along some of the insights Diana shared and also to perhaps add a few of their own. Stephen Vance shares highlights from the multi-team agile framework he has put in place at his organization with Natalie and Renee. 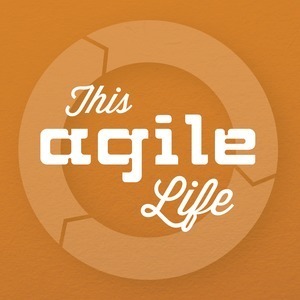 ThisAgileLife celebrated a “winning” episode recorded immediately after guest Dan Parker and Jason Tice won prizes at the Agile2015 “Night at the Museums” vendor raffle event. Jason and Dan were joined by Melanie Hopwood and Charles Elsner (also attending the conference) to discuss sessions they attended on Wednesday, August 5, 2015. Natalie and Jason were joined by Agile2015 conference attendees including Renee Troughton, Rich Rose Hemlock and Joe Naumann to reflect on the second day of the conference and share a few learnings from the sessions they attended.